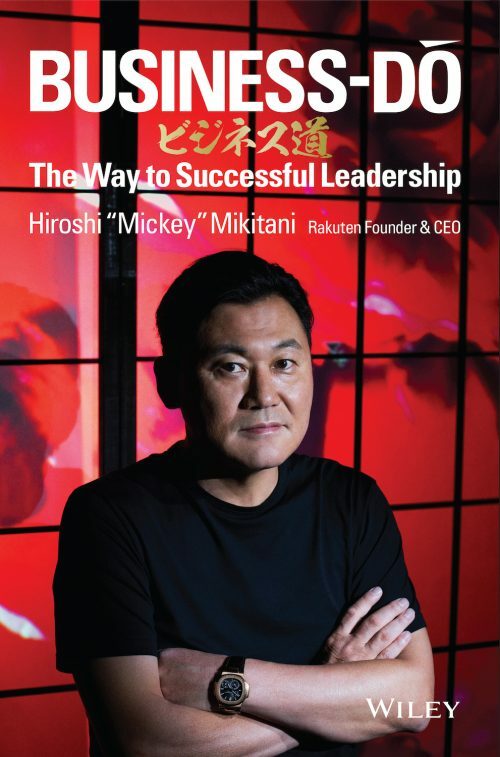 Rakuten Founder and CEO Hiroshi Mickey Mikitani and friends give Yukata Day a big thumbs up. 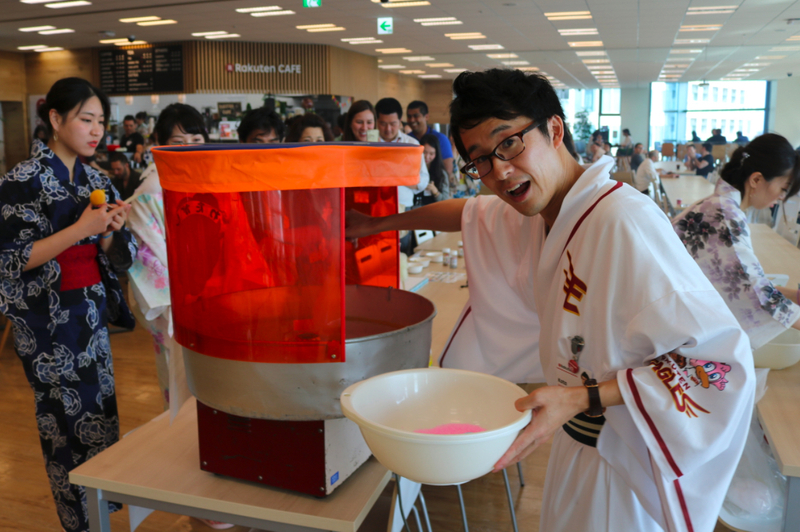 Rakuten employees Kyungsun and Yaboxi enjoy some cotton candy. Yukata Day organizer Eri smiles for the camera. Two 10-foot high trees were set up for employees to decorate in the lobby. 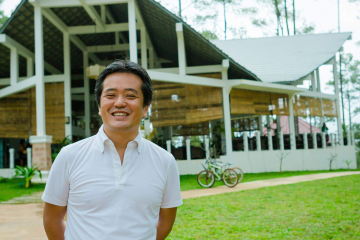 Takao and Mari hang wishes at Rakuten Crimson House. 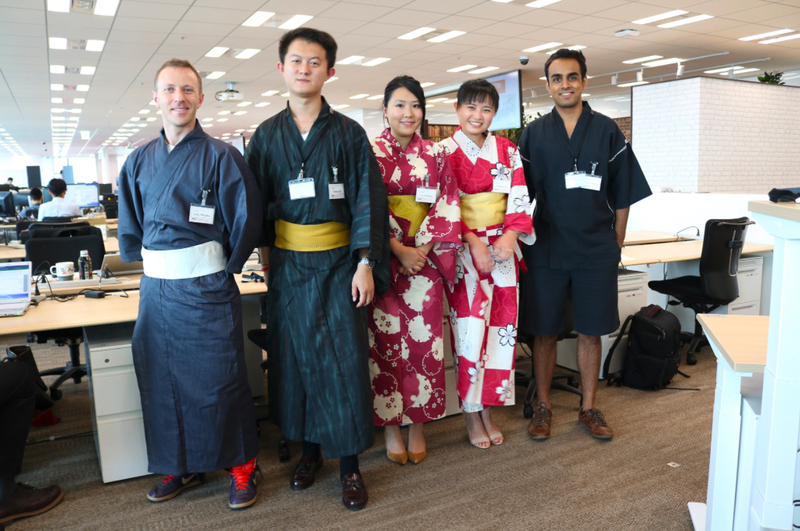 The gentlemen of Rakuten's Socio business kept cool in their summer yukatas. 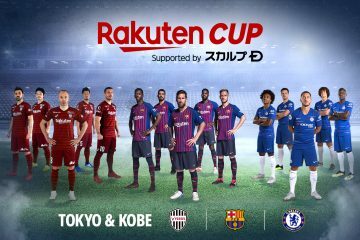 Crystal showing off some Rakuten spirit. 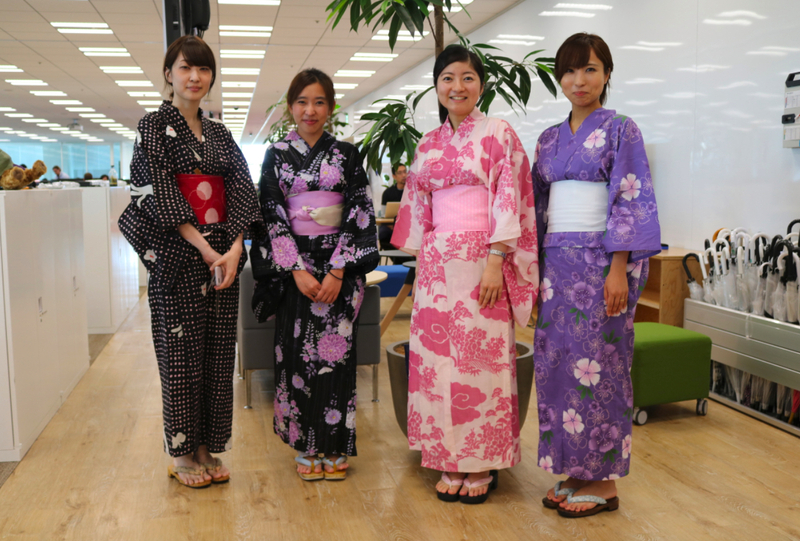 Yumiko, Worajaras, Kaede and Ayumi show off their Tanabata spirit. 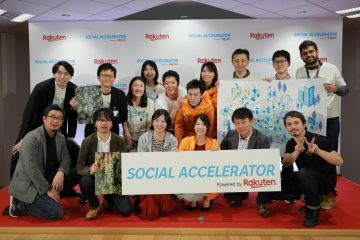 Rakuten Store staff joined the fun. 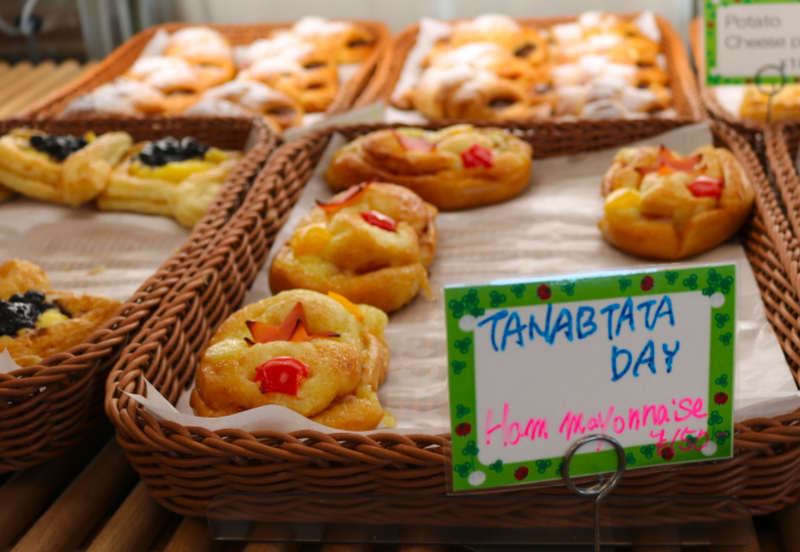 A special Tanabata-themed menu was available throughout the day. 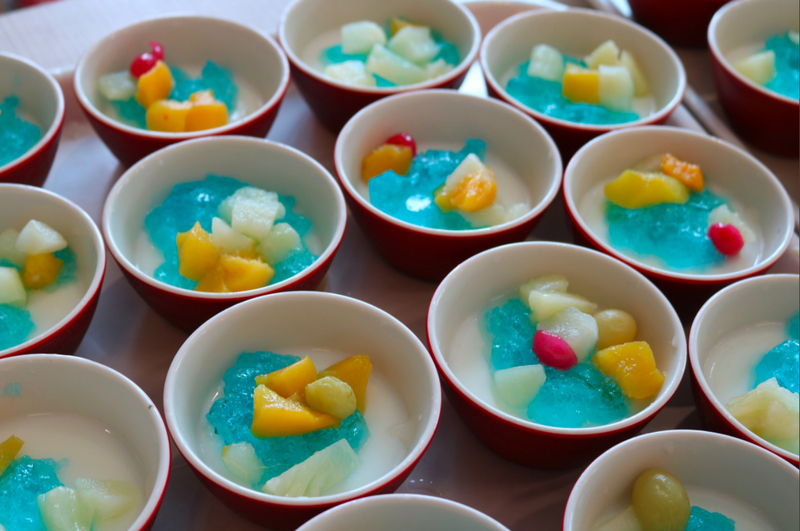 A festive fruit cocktail was served in the Rakuten cafeteria. 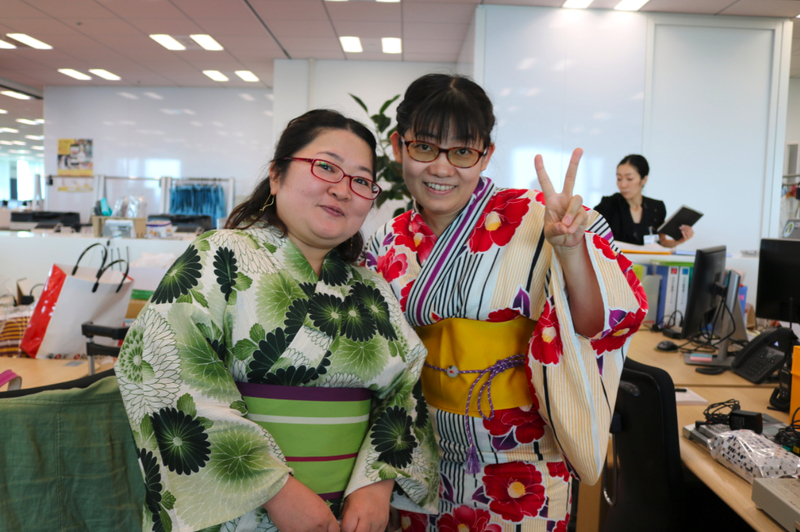 Mariana was thrilled to celebrate her first Yukata Day at Crimson House. 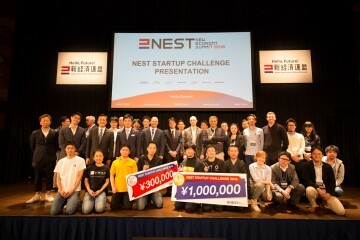 Yukata Day organizer Kota, dished out cotton candy in his Rakuten Eagles yukata. Face-painting was, as always, a big hit. Colin, Tommy, Iris, Amelia and Chinmay pose for the camera. 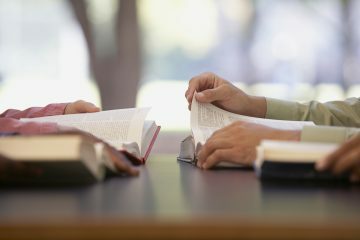 "It's nice that the company encourages such fun events in the workplace" said Brendan. 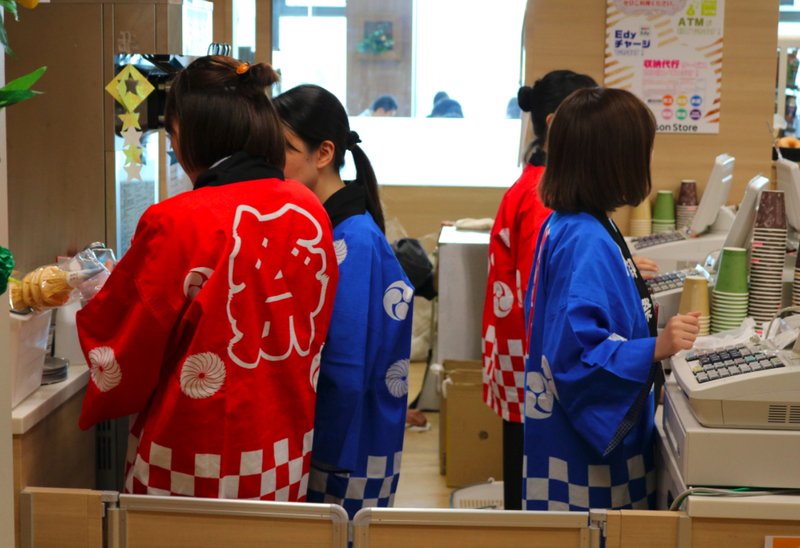 Yukata-clad men and women enjoying cotton candy and face-painting may not be the first thing that comes to mind when you think of a Japanese workplace. 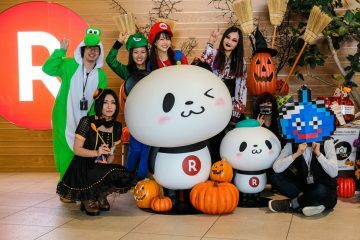 But, on July 7, Rakuten’s Tokyo headquarters, Rakuten Crimson House, was alive with all of that and more to celebrate the Japanese festival of Tanabata. Based on an ancient Chinese legend, Tanabata is a Japanese festival popular with young and old that celebrates the one day each year when two deities and star-crossed lovers, Orihime and Hikoboshi, are allowed to meet by crossing the Milky Way that separates them. 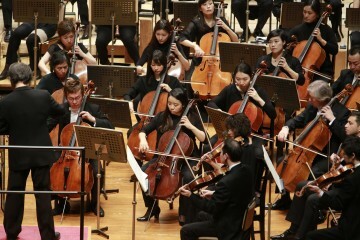 The pair is traditionally represented by the bright stars Vega and Altair. 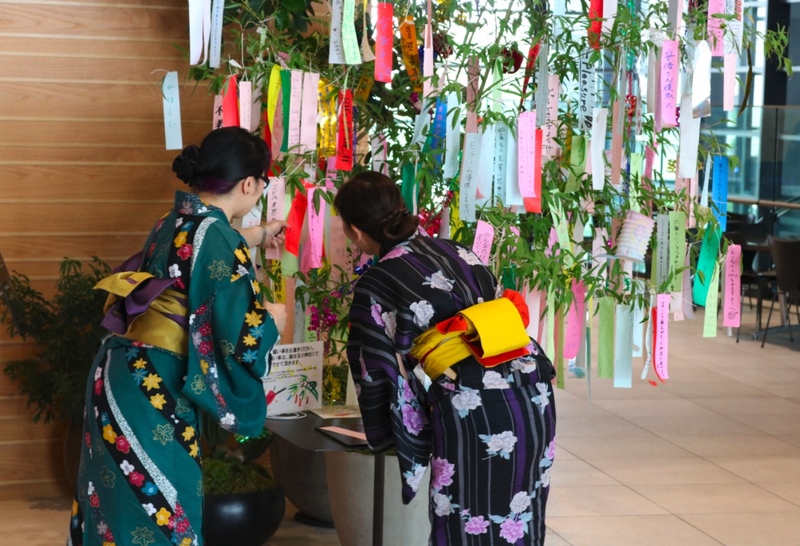 These days, Tanabata celebrations include writing wishes on small pieces of colored paper and hanging them on bamboo that is burned in a ceremony at a nearby shrine soon after, and attending local festivals in a yukata, the light, summer version of a kimono. 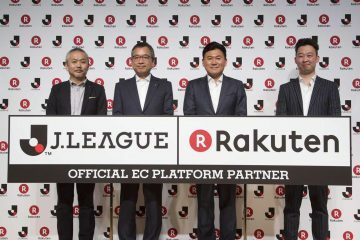 At Rakuten, Yukata Day is a newer tradition that has quickly become one of the year’s most anticipated events. 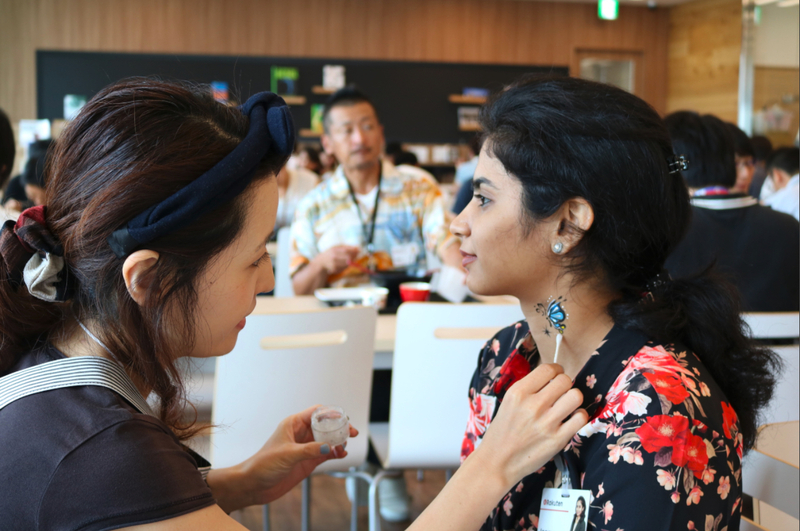 This year, the festivities included a special lunch menu, a cotton candy machine and, most importantly, a yukata dress-up service to help employees suit up properly, which was used by more than 100 people. 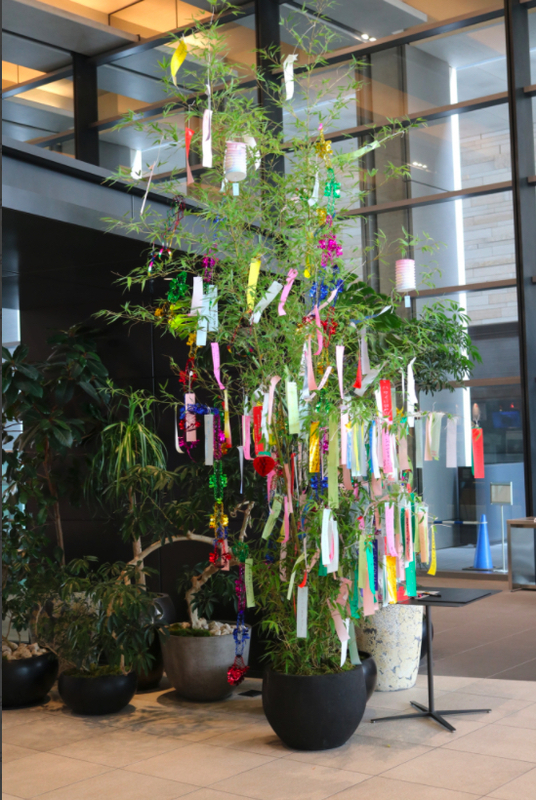 The company also set up a pair of 10-foot-high bamboo wishing trees in the building’s lobby for employees to hang their wishes on. 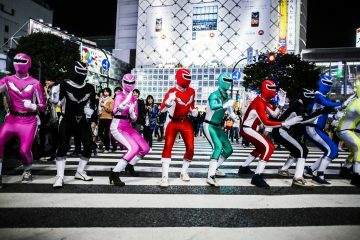 Throughout the office, hundreds of employees could be seen proudly showing off their refined, yet comfortable outfits. 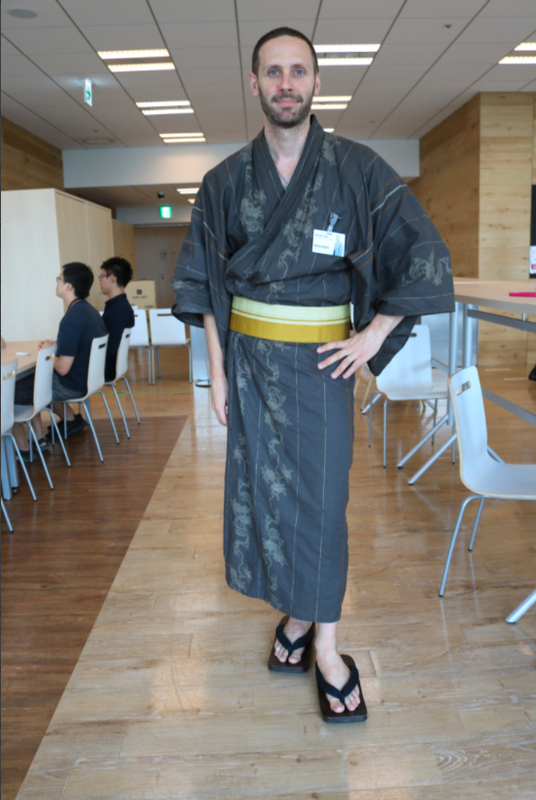 “When I wear a yukata, people look at me and smile. 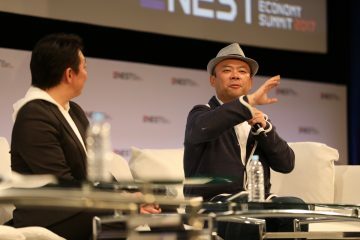 It creates an opportunity to meet new people and interact with colleagues in a different way,” said event organizer Eri, dressed in an intricately patterned purple yukata. 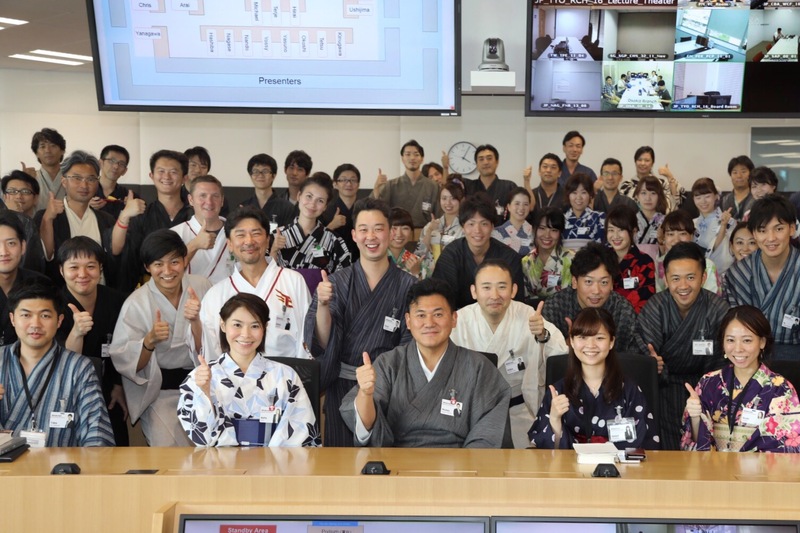 For employee Yaboxi, Yukata Day is a chance for the company’s international employees to connect with the local culture. 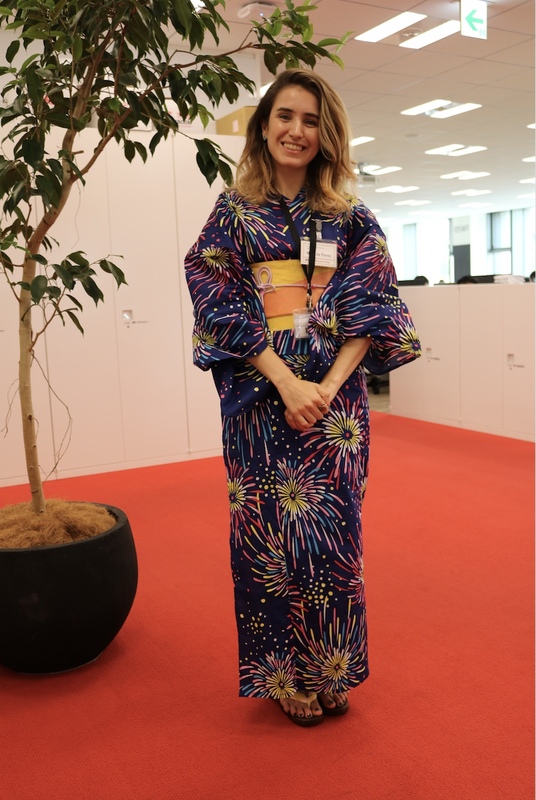 “It’s awesome that international employees like me can experience Japanese traditions at work,” she said. 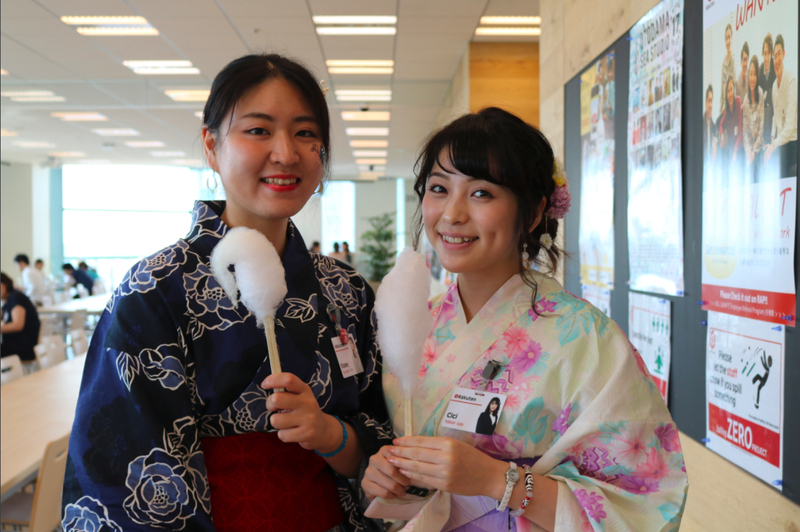 Fellow organizer Kota, who spent the afternoon dishing out cotton candy to a long line of excited employees in an eye-catching Rakuten Eagles yukata, hopes that events like this will continue to encourage employees to explore new cultures and improve communication in the workplace. Whatever your Tanabata wish this year, we hope it comes true.